Calves impacted by pneumonia during the first 90 days of life are more likely to experience increased age at first calving, higher incidence of dystocia and greater mortality before first calving. 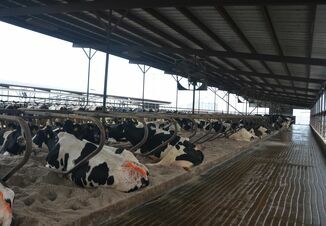 "Bovine respiratory disease (BRD) is far too common on dairies," said Greg Edwards, managing veterinarian, Dairy Technical Services, Zoetis. 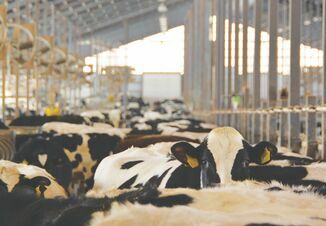 "Detecting respiratory disease symptoms early in a calf's life can help prevent chronic infections and lead to better future lifetime productivity." (tulathromycin) Injectable Solution, may reduce the risk of treatment failure to help get its health back on track. Research shows control of BRD during high-risk times can improve dairy heifer growth and performance. Vaccinate to help prevent pneumonia. INFORCE‚Ñ¢3 respiratory vaccine, that helps protect against three major viral pathogens that cause pneumonia in dairy calves ‚Äî bovine respiratory syncytial virus (BRSV), infectious bovine rhinotracheitis (IBR) virus and parainfluenza 3 (PI3) virus. 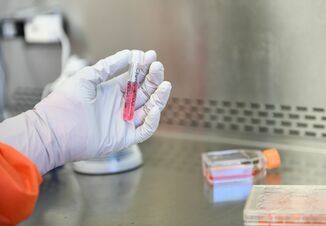 Vaccines are an important part of helping the immune system fight off BRD. DRAXXIN has a pre-slaughter withdrawal time of 18 days in cattle. Do not use in female dairy cattle 20 months of age or older. Do not use in animals known to be hypersensitive to the product.